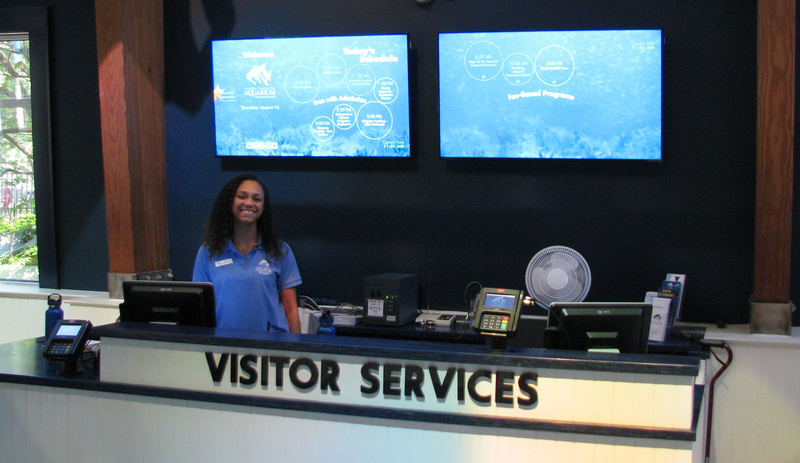 The North Carolina Aquarium on Roanoke Island recognizes that our guests come in all ability levels, and we strive to make every guest’s visit as fun and educational as possible. We believe that anyone can be empowered to save species and protect habitats. 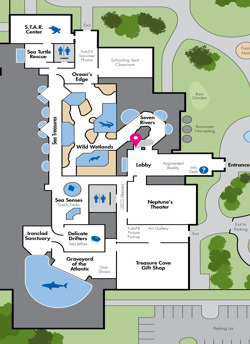 Read below for some of the special accommodations the Aquarium provides. Wheelchairs are available on a first-come-first-serve basis, and cannot be reserved in advance. Wheelchairs can be obtained at Visitor Services. Personal wheelchairs and ECVs are permitted for use on Aquarium grounds. For the safety of all guests, we ask that ECVs be set to walking speed. All service animals must check in at Admissions before being admitted on Aquarium grounds. Service animals are permitted in all areas, however, areas that are considered behind the scenes areas require advanced notice. Emotional support animals are not allowed within the Aquarium or on Aquarium grounds. During your visit, please be sensitive to the Aquariums animals. If they seem distressed by your service animal’s presence, please step back from the exhibit to help the Aquarium animal calm down. The social stories below are designed for guests with Autism Spectrum Disorders to enhance their Aquarium experience but may be used by anyone. Please note that some attractions, such as the STAR center, can be temporarily closed, and that some exhibits may be loud on days that are crowded. A list of helpful hints at the end of the story can help caregivers better prepare for an Aquarium visit. 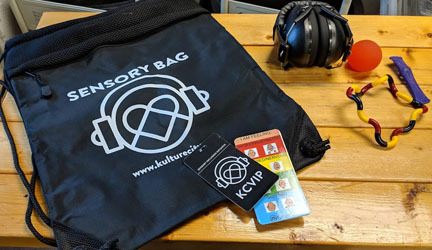 Kits are free for checkout during your Aquarium visit but require a valid driver’s license to ensure the backpacks are returned. Animal artifacts and animal models with labels printed in size 18 font.